Most Self-Directed IRA owners agree – a decent exposure to alternative investment classes is important to have the best shot at retirement investing success. By ‘alternative asset classes,’ we mean asset classes beyond mass-market mutual funds, publicly traded stocks, bonds and money markets. However, other than a Self-Directed IRA and 401(k), alternative investment classes are not well represented among retirement products fielded by traditional investment companies. But only a tiny percentage of corporate 401(k) plans provide for exposure to alternative asset classes – either via the inclusion of specialized alternative investment class funds or via a meaningful ‘brokerage window’ that allows plan participants to invest in investment products beyond the narrow list of approved fund investments within the company retirement plan. Why Choose Self-Directed Retirement Accounts? While some of these asset classes, including venture capital, real estate and precious metals can be accessed via widely available funds and ETFs, few employers will approve these funds for inclusion in their 401(k) plans. But all of these are approved, perfectly legal asset classes and potentially make excellent additions to a retirement portfolio. What’s more, the addition of these asset classes to an existing 60-40 stock/bond mix can help increase overall returns and/reduce overall volatility – or both. But you probably won’t get access to the full spectrum of retirement assets from a large employer’s 401(k), and you probably won’t hear about all the available options from a broker or Wall Street advisor, says Jim Hitt of American IRA, LLC – a North Carolina-based third-party administrator specializing in self-directed retirement accounts. These advisors are not compensated to sell anything outside of their firms’ inventory, and many of them don’t even know what’s out there, outside of what their sell-side analysts tell them to push, says Hitt. 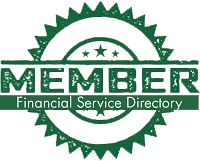 To take advantage of self-directed strategies and get access to the full range of alternative asset classes within your retirement account, you can set up an account with American IRA, LLC, fund it with new contributions or execute a rollover from another tax-advantaged retirement account, and research your own investments, independent of your Wall Street advisor. You can retain the services of experts in any asset class you choose – the only investments that are off limits in an IRA or 401(k) are life insurance, jewelry and gems, collectibles, coins and bullion of insufficient purity and consistency, and alcoholic beverages. For more information on setting up a Self-Directed IRA or even your own 401(k), for those with significant self-employment income or who are owner-employees of their own corporations, call American IRA, LLC today at 866-7500-IRA(472), or log on to www.americanira.com and peruse the vast library of informational articles and educational materials.